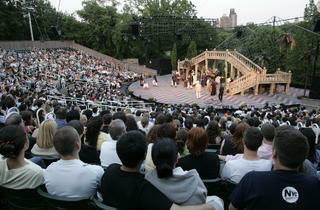 The Delacorte Theater in Central Park is the fair-weather sister of the Public Theater and the site of a thrilling theatrical experience for older children. 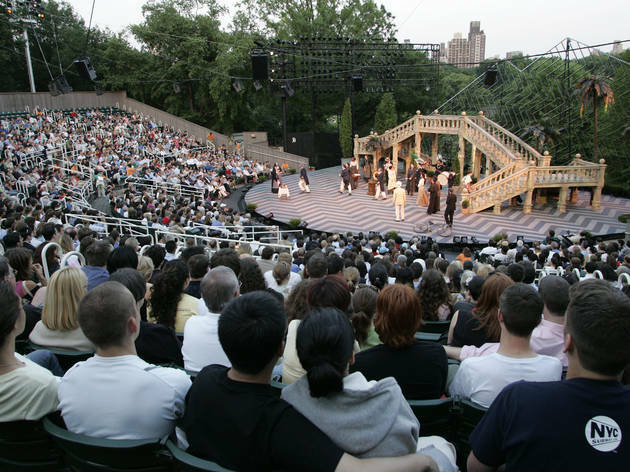 When not producing Shakespeare in the East Village, the Public offers the best of the Bard outdoors during the New York Shakespeare Festival (June–Sept). Free tickets (two per person) are distributed at both theaters at 1pm on the day of the performance. It's usually good to begin waiting around 9am, although the line can start forming as early as 6am when big-name stars are on the bill. You can also enter an online lottery for tickets. Ages 10 and up.